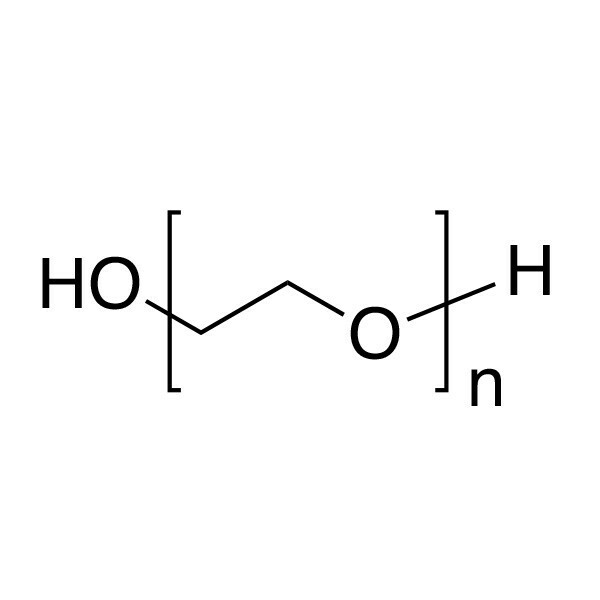 Poly(ethylene glycol) [MW 3,400; pharma grade] | Polysciences, Inc.
Polyethylene glycol is a water-soluble, nonionic, relatively inert, liquids or solids. Confers slip and humectant properties to coatings. See poly(ethylene oxide) for higher molecular weights. The terms poly(ethylene glycol) and poly(ethylene oxide) refer to polymers which are chemically identical. Polymer chains are hydroxyl-terminated at both ends. At all except the lowest molecular weights poly(ethylene glycol) has a broad molecular weight distribution ranging from ~ 0.5x to 1.5x the values shown. This product is advertised as “pharmaceutical grade” because it was originally manufactured for use in pharmaceutical and consumer applications. However, because of regulatory limitations, this productis for research purposes only.